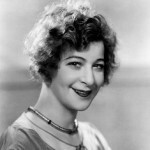 Fanny Brice was born in New York City, New York, USA. She was an American actress, comedian, and singer who made many stage, radio and film appearances and is known as the creator and star of the top-rated radio comedy series, The Baby Snooks Show. Her role in several films include: Ziegfeld Follies, Everybody Sing, Be Yourself, and My Man. Her songs list shown below: "My Man", "Second Hand Rose", "Cooking Breakfast for the One I Love", "I'm An Indian", and "Becky is Back in the Ballet".